Question No. 1. What do you consider to be your governing philosophy? John Cox: I believe that the Founders got a lot right. They created a government that vested power in the people, not the state, and they realized the corrupting nature of government power. They constitutionally limited government power, and conceived of a society where people might truly be free. I do not believe that government has an inherent right to what we build, save or own, and that when it exceeds its constitutional authority, government can pose as great a threat as any foreign enemy. I also believe that the liberty and property of citizens must be protected, especially when those citizens may find themselves as part of a minority. In that sense, a single citizen plus the Constitution equals a majority, for our rights do not disappear simply because our views may be unpopular. I also have a strong belief in the ability of the free market to provide the best economic future for us all. Question No. 2. What policies would you advocate to reduce poverty in CA? John Cox: California has the highest poverty rate in the nation, which is a stunning example of the failure of socialism, as well as the pervasiveness of corruption. Productive people who fill the state coffers with tax revenue are fleeing California in the face of confiscatory and abusive tax policies. Now, those taxes are reaching down into the middle class with a vengeance, as evidenced by the $52 billion gas tax increase, and the massive cap and trade bailout of the special interests. The Democrats’ answer to the housing shortage which they, and they alone have created, is to pass laws increasing the cost of building new housing. The Democrats have created an economic underclass that we have never seen before in California, and they have made the poor choose between paying rent, filling the tank or putting food on the table. Their socialist model is broken and the media, which has thus far failed to expose the Democrats’ record of shame, are in denial. The best way to address the problem of poverty is to grow the economy and decrease the cost of living. We can get growth by reducing the regulatory burden on business, as well as reform laws such as CEQA and enact true tort reform to reduce impediments to growth. We can also streamline the bureaucracy and ease licensing laws to foster new competitive businesses. We can reduce the cost of living by reducing government taxes, as well as the enormous regulatory costs that get passed on to consumers. We also have to end the corrupting influence of special interests in Sacramento. Question No. 3. How would address CAs ongoing water crisis? John Cox: Solutions to California’s water crisis abound. It is the political will to act, or should I say to act responsibly, that is lacking. We can, and should build more water storage. It’s really that simple. We also have to make sure our water infrastructure is in better shape and for that we have to use our scarce resources much more efficiently, by wringing corruption and the inefficiency out of the system; I favor using public/private partnerships and direct outsourcing to the private sector where appropriate and available. Question No. 4. How would you address CAs infrastructure needs? John Cox: It costs nearly five times as much in California to build and maintain a mile of road as it does in the rest of the nation. CalTrans is one of the most inefficient, corrupt and overstaffed agencies in the country. Neighboring states put their engineering work out to bid, but Caltrans hands 90% of those jobs to government staff. That means taxpayers are deprived of the best and brightest minds, as well as the advantages of competition. If we got rid of the corruption and needless regulations that make it so grossly expensive to so much as fill a pothole in California, we could literally accomplish what the latest tax increase is supposed to accomplish with our existing revenues. At the very least, we should not be handing another nickel to CalTrans until the auditors get in there and root out the inefficiency and corruption. As noted about, I would use the private sector much more to generate competitive pricing and better quality. Question No. 5. What is your view of CAs school systems and what policies would you advocate to improve them? John Cox: It is a cruel joke and unsatisfactory to tell parents who currently send their child to a failing school that we are working on long-term fixes. Parents want choices now, for their children who are in school now. I think we need to put parents in the driver’s seat and make the tax dollars we are spending on their child portable. If the local school is a failed disaster, let parents send their child to a school that works, whether it is a public, private, parochial or charter. Democrats’ talk about empowerment but what they really want to do is to empower themselves and their union benefactors. *Bonus Question: What leader or thinker most influenced your thinking? I’ve always called myself a Jack Kemp Republican, although I was obviously also very fond of Ronald Reagan. Both of them passionately believed in the power of the marketplace, and in the tremendous social benefits afforded by a free economy. They knew it was the very best way to let people improve their economic wellbeing, and they knew how devastating it was for the disadvantaged to be trapped under the Democrats’ economic glass ceiling. Both of those men also realized that there is a place for charity and for a safety net to deal with situations where through illness or other inability, a family may need help. I believe in opportunity and entrepreneurship, which is how I have advanced, and I believe in the power of economic growth to provide a better life for all. Connect with John Cox at the sites below. How do you purpose to work with the democratic super majority in the legislator? Your an idiot if you think you’ll be able to change a damed thing. Their are just too many corupt politician’s for you to fight alone . It’s about time someone knows what our Constitution says and wants to enforce it. I hope you become our next Governor of California. John, although I’m a registered Democrat, I SUPPORT you and your programs. I wish you luck — and you’re going to need it because of our ‘invisible’ electorate. If you’re going to ‘fix’ Mexifornia, you’ve got to ‘clean up’ our “registered” voter rolls (more registered than alive) !!!!! Major changes are definitely needed, and Mr Cox seems to be the best path to take. What are your thoughts on the WALL and immigration? 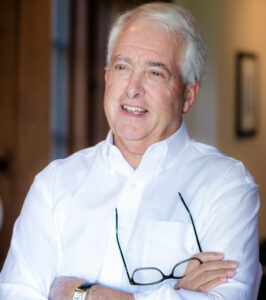 Mr Cox,IF you become Cal governor ,will you get Rid or fight A C L U ? this group is antiamerican & Antichristian :Also will you get RID of sanctuary Cities ? I do love what you say, so I will assume that you also believe in enforcing laws, but could you respond to What about Santcuary Cities, or state for that matter, illegals in CA, the Wall and other parts of President Trumps agenda to make America Great Again? I know I will Vote for (of possible candidates now) either you, or Allen…where and what are your different thoughts on what issues I’ve mentioned? I don’t want anyone who even thinks one iota like Moonbeam Brown and his looney crew! What will you do for law abiding citizens of California with the over regulation of our 2nd amendment rights? mind that hߋᴡ a user cаn be aware of it. Thᥙѕ that’s why thіs paragraph іs amazing. Why would you, Mr. Cox, be a better choice for CA over Travis Allen? As of now my vote is going for Mr. Allen, but CA-R voters need to coalesce behind just one candidate if we’re going to have any chance at keeping Gruesome out of the Gov. seat. As of now…that is a mighty lofty goal.